Metelec carry a wide range of cuponal busbars. 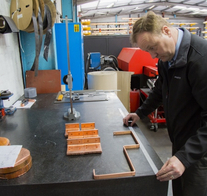 Our cuponal busbar at Metelec is available from stock and all bespoke products within the scope of our manufacturing range can be made available on short lead times. The stock range of cuponal bus bars is unrivalled, to get a full appreciation of how diverse this is please give us a call on +44 (0)1922 712665. We also ship cuponal bus bars worldwide. 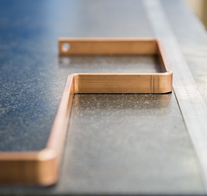 This product is an alternative to hard drawn high conductivity copper busbar. 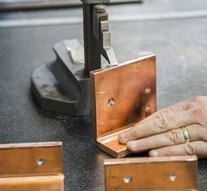 This is a dual metal product developed to be an alternative to solid copper. 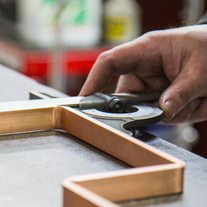 Cuponal consists of electrical grade aluminium with an outer layer of high conductivity copper. This gives you a product that has a weight reduction of up to 60% thus reducing the cost by up to 40%. In addition to these advantages there is also a greater stability in the price owing to its composition. This offers a greater period of stability in price, savings on freight and reduces the weight of final assemblies. A full range of sizes are available on an ex-stock same day collection / next day delivery basis complete with the ability for forward order. Bespoke sections are available with material provided the cross sectional area is between 20-160mm Sq. Cuponal busbar available from stock subject remaining unsold, alternative sizes of cuponal busbar available on enquiry.